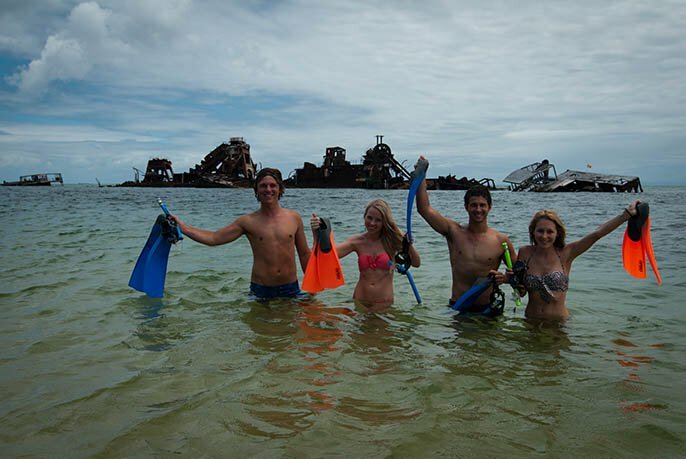 Snorkelling on Moreton Island – Get Wrecked! 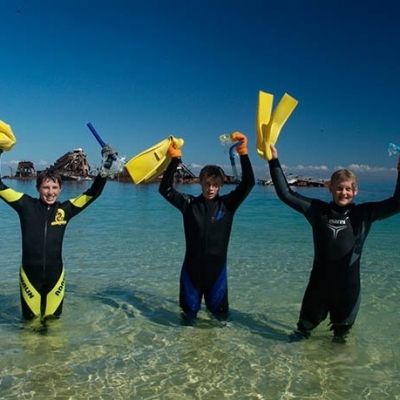 We’ve got all the same crystal clear blue waters, stunning coral formations and countless varieties of fish that you’ll hear about from some of the other spots in Queensland, but what’s missing is the pain-in-the-backside travel, briefings, tourists and price tag! 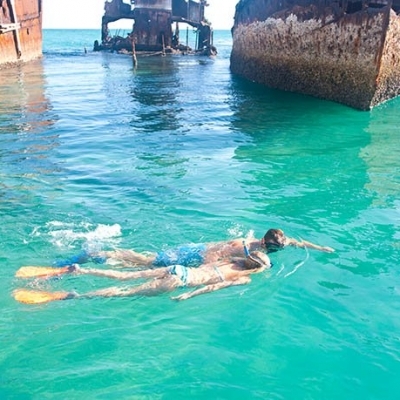 Oh, and Brissie’s only snorkelling shipwrecks are in Moreton Island. That’s not bad for a short trip from the city! 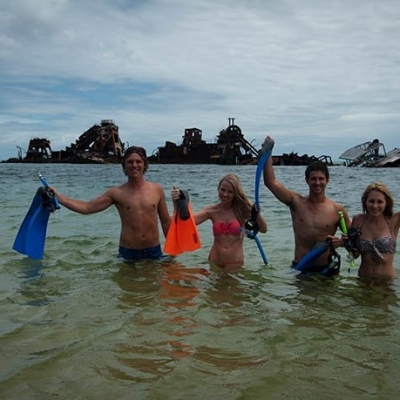 15 sunken shipwrecks amongst colourful fish and marine life create an amazing snorkelling site. 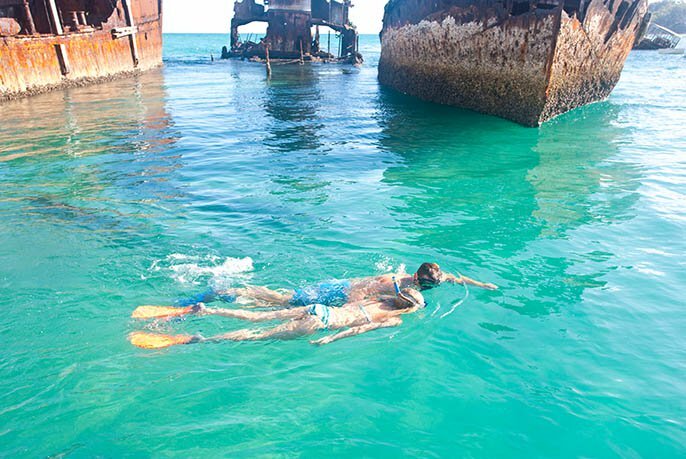 Brisbane’s only shipwrecked snorkelling site will blow your mind – it’s a must do experience! 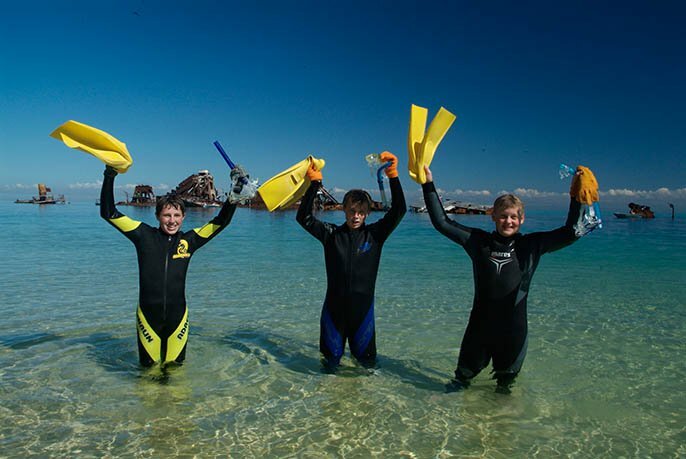 Check out this video which will show you what it’s like to go snorkelling on Moreton on a day tour with Sunset Safaris!